Fable Legends developer Lionhead Studios gives us a more in-depth look at the character Celeste. She is one of two healers in the game, alongside Doctor Leech, but also has some impressive offensive abilities. Celeste can call down light to smite her enemies, in the form of a blazing spear from the sky, preventing other players from blocking your shot by wandering into your line of sight. She can turn herself into a mobile light beam that burns everything it touches, becoming an unstoppable force of destruction. To top it off, Celeste can turn fellow players invisible by setting up a shimmering screen for them to walk through. As if the amazonian sized priestess couldn't do enough already, this video shows she also has some pretty sweet dance moves. That is an important part of MMO's, right? 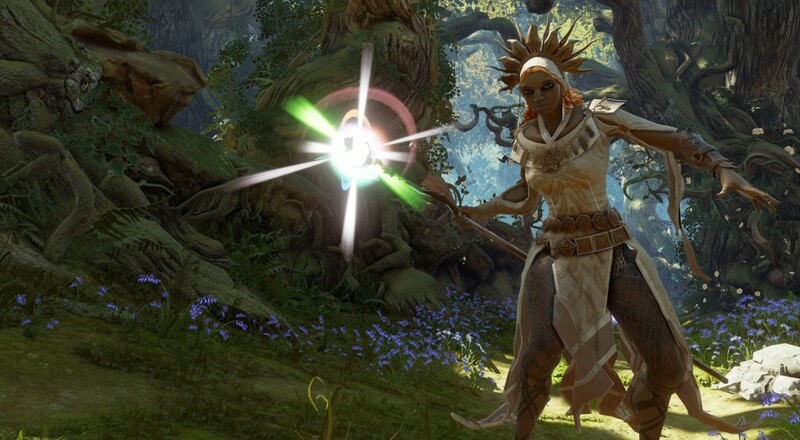 Fable Legends does not have a release date set, but you can sign up for the closed beta here.